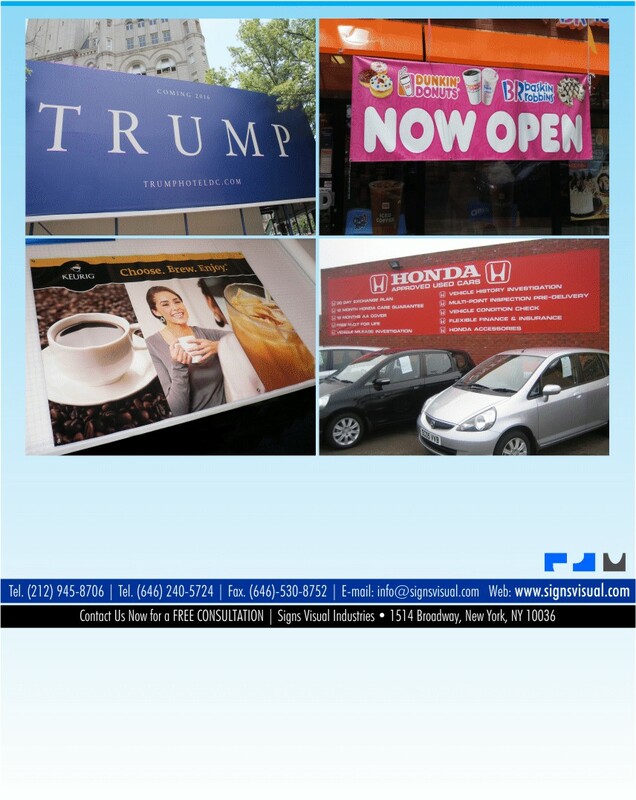 Signs Visual prints all types of promotional banners and displays in New York City. Our custom digital printed promotional banners are made of a strong 13 oz. durable scrim vinyl banner material. These banners are full color printed and are long-lasting for indoor or outdoor use. We print promotional signage for grand openings, coming soon messaging, billboard displays, shopping mall signage, discount offerings, in-store signage and more. Contact us today for a quote on your promo banners in NYC!